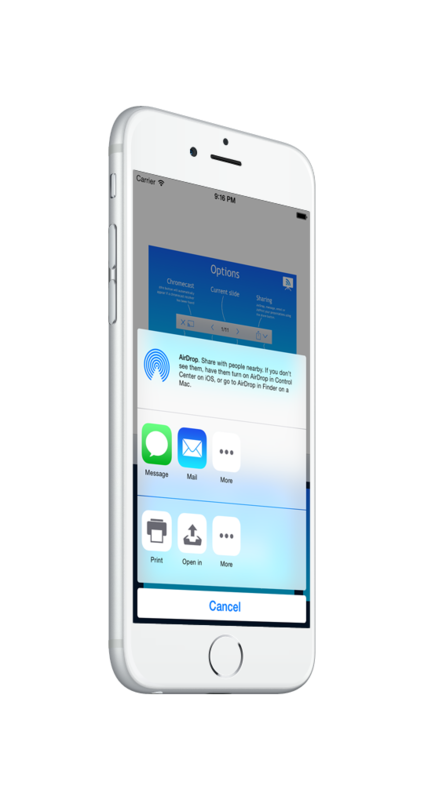 Add your presentations to AirPoint without ever leaving the app using the built in Document Picker. 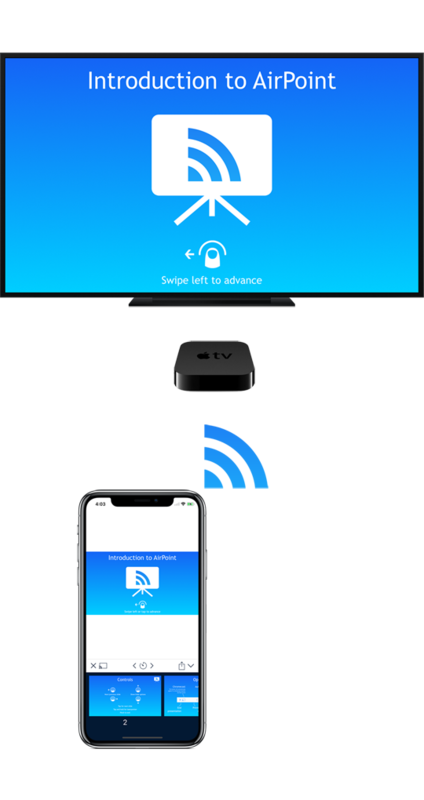 Fullscreen AirPlay support when using Apple TV. Now even more enterprise friendly with peer-to-peer mirroring. 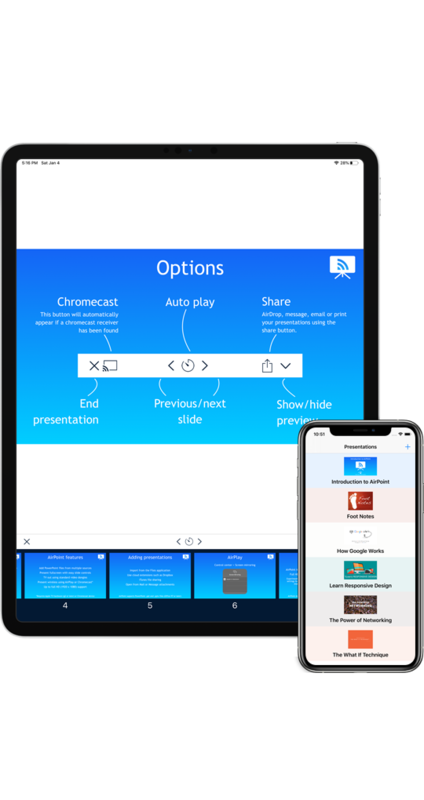 Cast your presentations using the cast button in AirPoint. 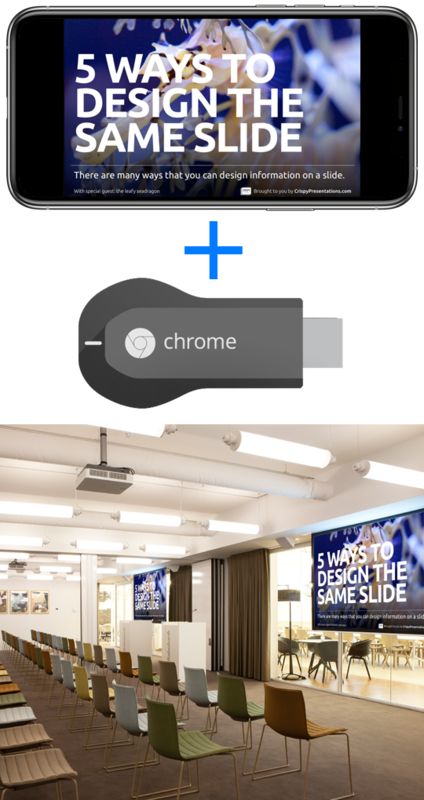 AirPoint automatically detects Chromecast devices on your network. Mail, Message, AirPrint, AirDrop and more... Share your original PowerPoint or send as PDF file. Buy once, use it on all your devices. No hidden costs or crippled features! Need a feature? Found a bug? Use our feedback form and expect a swift response!